Difference between revisions of "IPOC’s Shellmound Peace Walks"
There are no shellmounds in the Bay area that remain fully intact. As the San Francisco Bay Area urbanized in the 19th and early 20th centuries, most shellmounds were razed for development, dug up for their rich topsoil, looted by artifact seekers, and excavated by archaeologists who catalogued the relics in museums or university archives. In 1924, archeologists unearthed over 700 remains of indigenous ancestors from the Emeryville Shellmound alone. Today, the struggle to preserve the ancient shellmounds is a struggle centered on the survival of the many Native peoples who were subjected to the horrors of Euro-American colonialism. Walking over 280 miles, each year’s walk circumnavigated the Bay. In 2005, the walk began in the Sogorea Te Shellmound in Vallejo, and continued south through the East Bay into San Jose and then into the San Francisco Peninsula. Along the way, the walkers stopped for food and rest at community centers that supported their cause. Community supporters donated all the food that fed the activists. The public’s reception, in general, was respectful and supportive, and many bystanders joined the walkers on the streets and freeways. Amongst many other places, the walkers stopped to rest at Buddhist and Sikh temples, churches, the Ethnic Studies department at UC Berkeley, the San Jose Mission and the Mission Dolores in San Francisco, where respects were paid to the ancestors that lost their lives in the captivity. [1, 6] During other walks, the activists marched into Marin County to visit the shellmounds facing the Pacific Ocean. The legacy of the walks is profound. To many who participated in them, the friendships, memories, and healing moments shared between Indians on their ancestral lands was a pivotal identity-shaping experience . Physically visiting ancestral grounds helped solidify many Natives’ conviction to defend their identity against an oppressive cultural erasure. Visiting the lands that hold the memories and remains of their ancestors empowered the Indian community and helped pave the way for a resurgence of public discourse about Native sovereignty in the Bay Area. In 2011, IPOC members spearheaded a [[Indian_People_Organzing_for_Change_(IPOC)_and_the_Sogorea_Te_Occupation|109 day occupation to protect a historic village site, Sogorea Te]] (Glen Cove / Vallejo, CA) – a successful action that could not have happened without the community building generated through the walks. Since the annual walks ended, a shorter march and demonstration held every year on black Friday in the Emeryville mall gathers hundreds of supporters. The “Thankstaking Day” ceremony on Alcatraz, a gathering that contextualizes Thanksgiving as a colonialist holiday that celebrates the genocide of Natives, continues to grow in attendance every year. 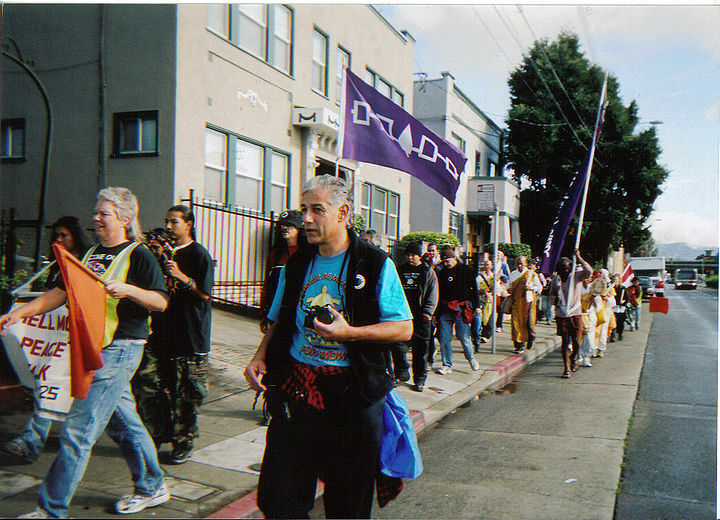 Between 2005-2008, Indian People Organizing For Change (IPOC) organized historic community peace walks which circumnavigated the entire San Francisco Bay Area, visiting sacred shellmound sites and raising awareness of Native American history, culture, and rights. On the morning of February 11, 1978, thousands of Native Americans and allies, inspired by broader American Indian Movement (AIM) gathered together for a ceremony on Alcatraz Island to initiate a cross-country journey to Washington, D.C. “The Longest Walk,” as it would soon be labeled, brought together people from all over the world for the purpose of protecting Indigenous rights and honoring Native American people. Among those that came to support AIM were members of the Nipponzan Myohoji sect of Japanese Buddhism, a group internationally known for peace walks focused on nuclear disarmament and the protection of indigenous communities from Western colonizers. The connections that materialized between Native American organizers and Nipponzan Myohoji monastics during the 3-month Longest Walk laid the foundation for a deep solidarity between the two groups that continues to thrive today. In 2005, Indian People Organizing for Change (IPOC)’s Corrina Gould came to the Vallejo Inter-Tribal Council’s Indigenous Sacred Sites Preservation Committee to discuss the ongoing desecration of Ohlone sacred sites throughout the Bay Area. Concerned with the continued erasure of their cultures and history, the group elected to have a peace walk, visiting the major shellmounds (ancestral grounds) of the Bay Area. The rich community of peace walkers that evolved in the decades since The Longest Walk were called together once again in the name of protecting indigenous rights, preserving sacred sites, and honoring the lives of ancestors that continue to be decimated by colonial oppressors. Supporters flew in from Japan, South Africa, Australia, Italy, and elsewhere, to walk in solidarity with IPOC. Nipponzan Myohoji monks drumming for peace at the site of the Emeryville Shellmound. 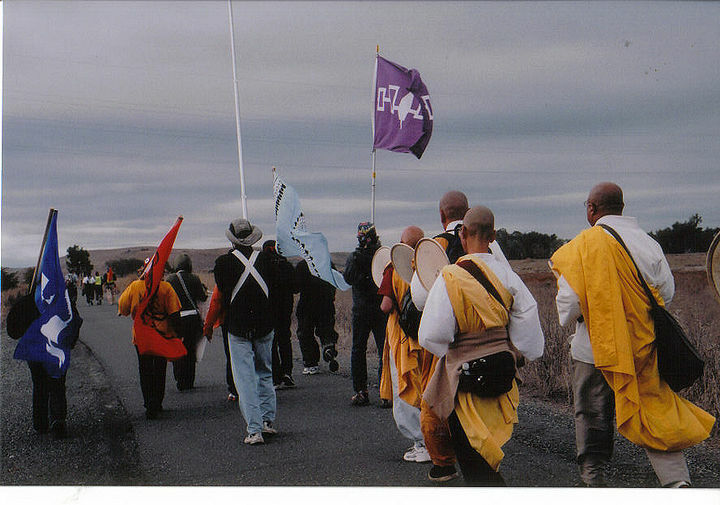 For four years (2005-2008), IPOC, Nipponzan Myohoji monastics, and a wide range of supporters gathered and marched together to visit ancient sacred sites throughout the Bay area. They walked as one body to the heartbeat sound of a traditional Japanese drum and the solemn Daimoku chant of “Namu Myōhō Renge Kyō.” Each year, these activists walked for two to three weeks at a time. The walkers “slept together, ate together, prayed, laughed, and cried together.” They shared their experiences with onlookers, answering questions and expressing their demands for justice. They brought their prayers for their people, their ancestors, and for indigenous communities throughout the world into the streets and into the public consciousness. Indians and Mipponzan Myohoji monks walking in Coyote Hills, Ca. Corrina Gould and Johnella LaRose formed IPOC in 1999 as an organization intended to give a voice to a population that has been “unheard in all areas of government and have continued to be an underserved population throughout the U.S.” Many Native Americans were in the Bay Area as a result of the Indian Relocation Act of 1956 which moved ten of thousands of Native Americans off reservations into urban centers – including Oakland, San Jose, and San Francisco. Other Native Americans – indigenous to California – were often barely connected to Native American community and identity, often out of a historical necessity to survive persecution. Efforts such as IPOC, building off of the political insurgences of the 1960s, helped to change the political and cultural landscape. The Bay Area’s role in the Civil Rights Movement, the Free Speech Movement, and the occupation of Alcatraz by AIM in the ’60s coalesced into a unique emergence of a consciousness of Indian rights that resulted in government investment in Indian organizations in the Bay. 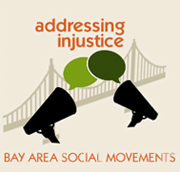 The historical trauma caused by intergenerational losses of life, land, economies, physical and emotional health, languages, culture, and rights by Euro-American colonizers resulted in the need throughout the Indian community of the Bay to organize independently of government involvement. (1) IPOC strives to organize and empower Alameda County American Indian residents to participate in local government and help bring change to their communities. (2) IPOC will be a solution oriented, membership organization, which will create positive action by being the eyes and ears of the community. (3) IPOC will provide an open forum for Indian People to voice concerns and create positive solutions. As IPOC’s presence in the Bay grew, people began to call Gould and LaRose when indigenous remains were found on private properties and construction sites. Since the early 1990s, knowledge of the desecration of traditional Indian burial sites in the Bay had been suppressed both by the media and by the construction companies that desecrated them . The widespread publicity of the destruction of the Emeryville Shellmound in the early 2000s garnered more public support for Natives’ struggle against cultural erasure. These sacred shellmounds were formed over hundreds of years; the activities of daily life for the Ohlone and other tribes in the area such as eating shellfish, making tools, cooking, butchering animals, and building shelters, led to the accumulation and compaction of tons of shells and other materials in large sloping mounds of earth. Generations of Indians returned to these shellmounds again and again, using the sites to bury their dead and pray for their ancestors. As European colonizers came to the Bay Area, beginning in the 18th century, the shellmounds began to be abandoned, but they retained their cultural significance to the Natives and were visited and revered as sacred ancestral burial grounds. Stopping to protest at the Emeryville Shellmound that was artificially set up after the original was destroyed. Demolition of the Emeryville shellmound in 1924. Demolition of the Emeryville shellmound. Who: The walk includes traditional Native Americans, Nipponzan Myohoji Buddhist monks from Japan, and supporters from across the country and around the world. 1.To have land that is accessible for reburials at any development, public or private. 2.For the reparation of our ancestors and sacred objects that are being held in museums and universities. 3. For the recognition of the Ohlone Nation by the US Congress and all other tribes not recognized by the federal government. 4.To have California history curriculum rewritten by native people and approved by the California Department of Education to meet State’s standards. Federal testing must reflect these changes. There must also be changes in teacher training. 5. To educate the public about the ancient sites that have been desecrated throughout the Bay Area and to ask support in ensuring these atrocities do not continue to happen. Leaving Sogorea Te to embark on the First Shellmound Walk in 2005. The act of moving together as a collective, and the intention set by the collective in honoring the resting places of their ancestors created a powerful space for mourning, connection, and healing for the Indian community. The walks became a symbolic act of reclaiming the space and identity that had been unjustifiably stripped from them. Marching in Oakland during the 2005 Walk. 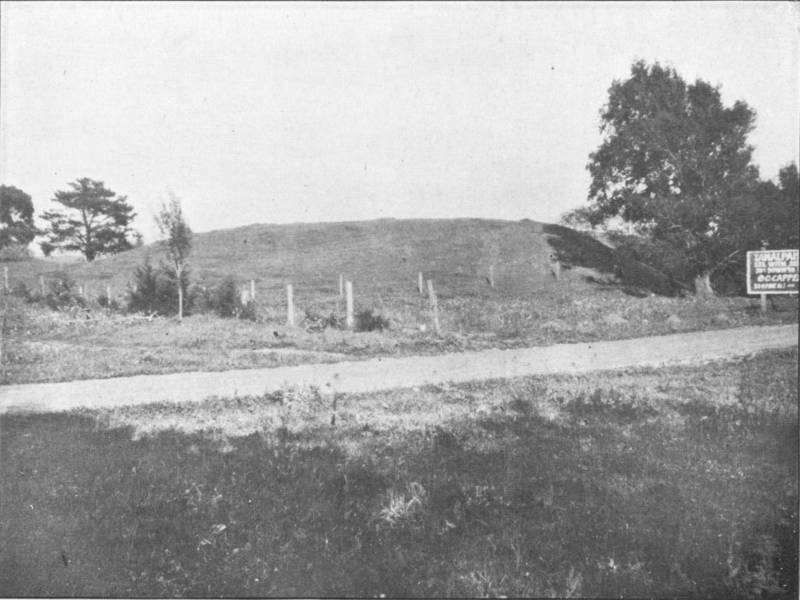 Shellmound in San Rafael, 1909. 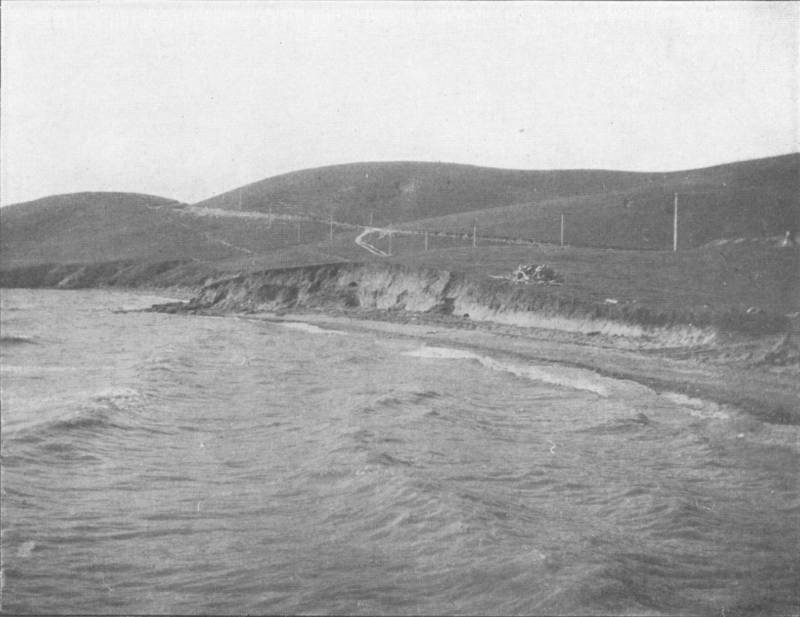 Shellmound in Mill Valley, 1909. The legacy of the walks is profound. To many who participated in them, the friendships, memories, and healing moments shared between Indians on their ancestral lands was a pivotal identity-shaping experience . Physically visiting ancestral grounds helped solidify many Natives’ conviction to defend their identity against an oppressive cultural erasure. Visiting the lands that hold the memories and remains of their ancestors empowered the Indian community and helped pave the way for a resurgence of public discourse about Native sovereignty in the Bay Area. In 2011, IPOC members spearheaded a 109 day occupation to protect a historic village site, Sogorea Te (Glen Cove / Vallejo, CA) – a successful action that could not have happened without the community building generated through the walks. Since the annual walks ended, a shorter march and demonstration held every year on black Friday in the Emeryville mall gathers hundreds of supporters. The “Thankstaking Day” ceremony on Alcatraz, a gathering that contextualizes Thanksgiving as a colonialist holiday that celebrates the genocide of Natives, continues to grow in attendance every year. 4. Hedgecoke, Stephanie. "3rd Annual Shellmound Walk in San Francisco Bay Area." (Accessed 02 Mar. 2015). 5. Stacy, Megan. "Shellmounds of the Bay Area." SacredLand.org (Accessed 02 Mar. 2015). 6. Gali, Morning Star. "Shell Mound Peace Walk to Kick off Today at Intertribal Friendship House : Indybay." 08 Nov. 2008. (Accessed 04 Mar. 2015). 7. Weeks, Philip (2014). ""They Made Us Many Promises": The American Indian Experience 1524 to the Present". John Wiley & Sons. pp. 196–197. (Accessed 04 Mar. 2015). 8. Shellmound. Dir. Andrés Cediel. Perf. Diem Jones. 2004. DVD.